If you are a businessman or you are always on the roads, it is hard for you to find place to charge your electronics including your cellphones, e-cigarettes. No worrying! With a Eleaf iStick QC 200W mod popular in Greece, all can be solved! iStick QC 200W vape mod is powered by a 5000mAh built-in battery, you can vape for the whole day without a letup. Besides this advantage, the iStick QC 200W battery can be served as a power bank. 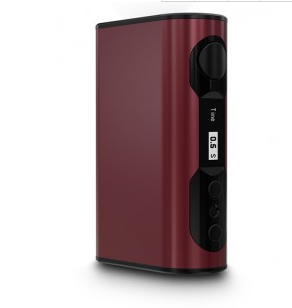 With the reverse charging("RC") adapter(optional accessory), the iStick QC 200W will convert the 510 connection into a USB output for power bank mode, providing power to your cellphone or other e-cig devices. Isn't so convenient to bring the iStick QC 200W along with you!